Keep a small pan on medium flame add oil, while oil heats up add mustard, while mustard pops up add urad dhal , fry it until the urad dhal turns golden brown, add chopped green chillies, finally add chopped curry leaves and turn off stove. Add this seasoning to grated radish, salt ,lemon juice and mix it well. 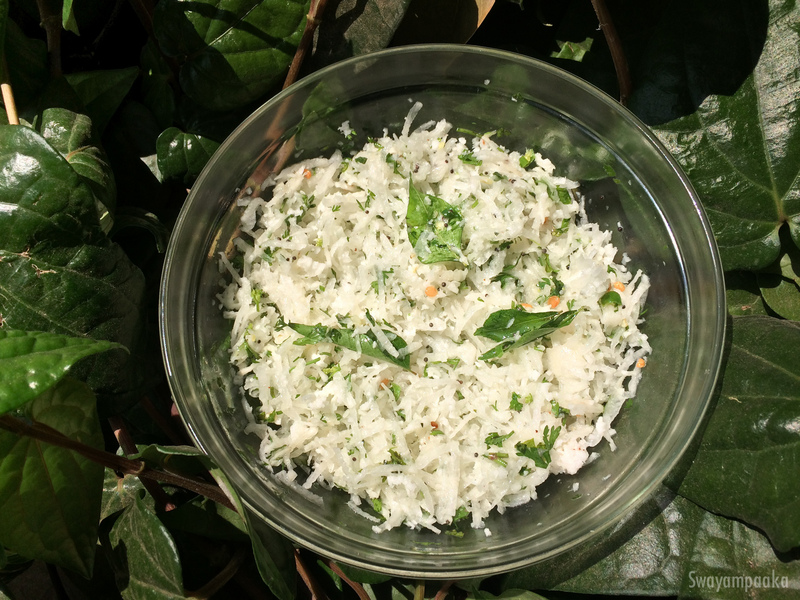 Garnish it with grated coconut and coriander leaves .